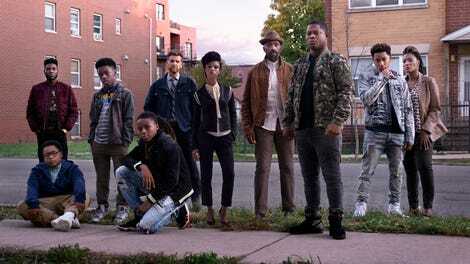 The sprawling first season combined elements of crime and family dramas with a touching coming-of-age story, following people of all age groups to demonstrate both the toll of redlining and the resilience of those underserved by the city. At times, it seemed the show had bitten off more than it could chew, switching awkwardly between tones and genres to keep the story chugging along—just when it looked like Coogie’s (Jahking Guillory) murder would be solved, a new power struggle erupted on the streets before the focus turned to middle-schoolers Kevin (Alex Hibbert), Papa (Shamon Brown), and Jake (Michael Epps) and their latest project. 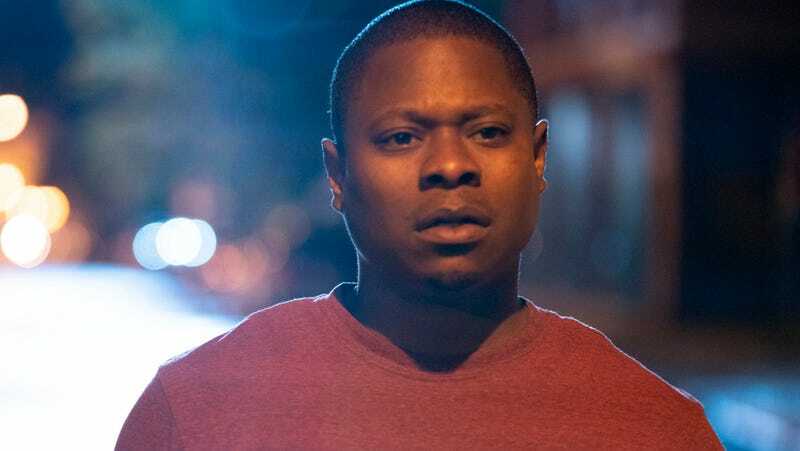 In general, the male residents of The Chi, like Brandon (Jason Mitchell), a young chef whose brother Coogie was killed in the pilot, were more developed than their female counterparts, including Jerrika (Tiffany Boone), a real estate broker and Brandon’s girlfriend, and Jada (Yolonda Ross), a homecare worker who’s trying to envision the next chapter of her life. That was an intentional move on Waithe’s part, who’s said she wanted to show the black men in her series greater respect and compassion than they’re given in real life. The same consideration is given in season two, but new showrunner Ayanna Floyd helps make sure it extends to all of the residents of The Chi. In addition to further exploring the careers and personal lives of Jerrika and Jada—who juggle ambition, class struggle, and an empty nest, respectively—The Chi introduces Detective Alice Toussaint (Crystal Anne Dickinson), who steamrolls over Detective Cruz (Armando Riesco) at the precinct, challenging him to examine his privilege even as she makes Alonzo Harris look like a Boy Scout. Kevin’s mothers, Nina (Tyla Abercrumbie) and Karen (Malkia Stampley), finally have a real presence in his and Kiesha’s (Birgundi Baker) lives. Miss Ethel (LaDonna Tittle), who spent much of season one putting up with her grandson Ronnie (Ntare Guma Mbaho Mwine), is still holding out for his return—he confessed to Coogie’s murder in the season-one finale—but she also finds herself at the center of an intriguing new storyline. But properly mapping these previously established paths doesn’t take The Chi too far from its roots; season two delves into the aftermath of violence as well as the realities of the criminal justice system. As Ronnie sits in jail, white-knuckling his way through sobriety and the guilt of leaving his only family to fend for themselves, Kevin must deal with his PTSD after shooting Ronnie. Floyd, Waithe, and fellow writers Joe Wilson and J. David Shanks challenge mental illness stigma while also underlining the need for broader solutions, like retraining school officials and yes, even the police. Season two also reveals more of what motivates kids like Jake and younger adults like his brother Reg (Barton Fitzpatrick) to join gangs. In the first half of season two, The Chi often manages to have it all, touching on all kinds of preteen milestones for the middle-school trio, including first crushes, first fights, and the dread group project, while also keeping an eye on Brandon, who now runs a food truck but still struggles to make money. His and Jerrika’s stories dovetail nicely for the most part, as they both try to level up in their respective fields—they each find themselves working with a new business partner, but Jerrika’s new development project puts her at odds with the community while Brandon serves his neighbors. Their growing pains feel realistic, and Jerrika’s story remains just as important as Brandon’s move into the world of culinary competitions. Likewise, Jada, after finally giving her charming son Emmett (Jacob Lattimore) the boot, remains a part of Miss Ethel’s life while forging a new path for herself. Ross is winning as a woman who’s both intimidated by and excited about her renewed independence. And Maisha (Genesis Denise Hale), Kevin’s know-it-all classmate, is given more of a chance to shine at home and at school. The Chi follows through on its plans to bring greater dimension to all of its characters, and the performances remain great across the board—Mitchell provides a wonderful center, and Boone makes sure we feel Tiffany’s conflict over gentrification and her own ambitions. But the balance is still off in season two; the whiplash shifts in tone, from the lighthearted middle school exploits to the raiding of one of the 63rd Street strongholds, remain. After doing away with Quentin’s scheming, a new power player emerges to breathe down Reg’s neck. The show makes a solid case for how that particular kind of void will always find a way to fill itself; it’s another reality the show can’t and won’t ignore. But the handling of that story is at times at odds with the show’s grounded aesthetic—there’s a scene at the midseason point that’s more at home in the nighttime soap Empire than it is The Chi. There’s also a significant development in the first half of the season that feels far too serendipitous, though it has the potential to set up a story about restorative justice. The Chi has always made a point of showing us how South Side Chicagoans do more than survive—they live, love, aspire, fight, and thrive, despite the odds. Season two remains committed to showing us how all of the neighbors make their way in that world, but continues to hinder that progress with by not allowing for enough room to breathe between shifts in narrative. The show is at its best when it’s what Floyd refers to as a “neighborhood drama,” offering realistic but optimistic slice-of-life portraiture. There are worse things than ambition, which The Chi also explores, but the show would benefit from joining its characters on the stoop to take it all in.